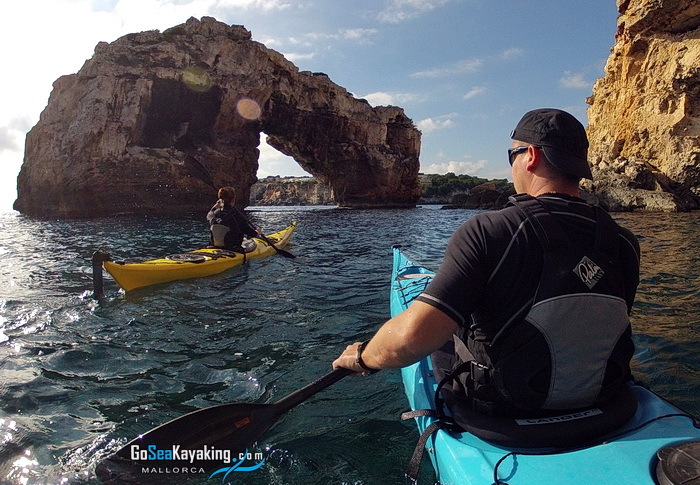 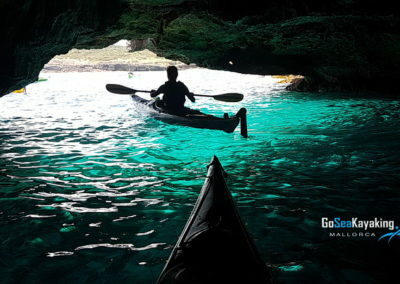 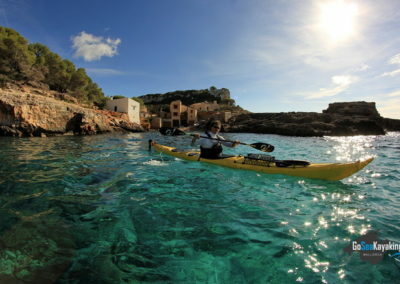 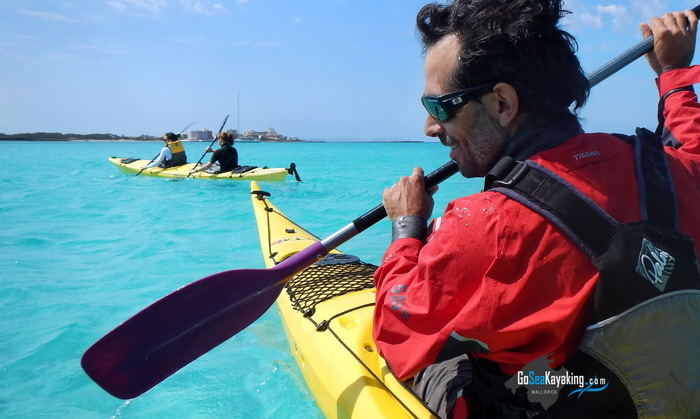 SEA KAYAKING on Mallorca – paddle with us! 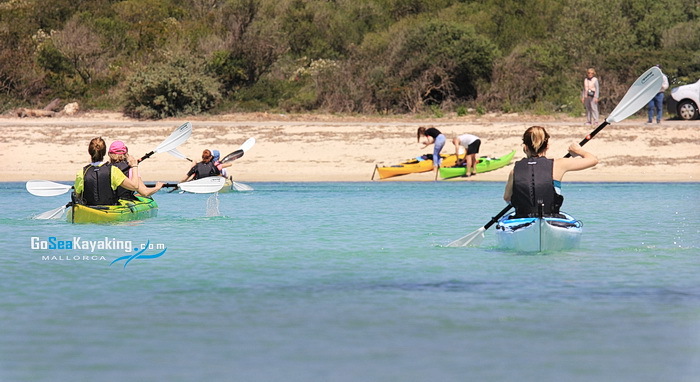 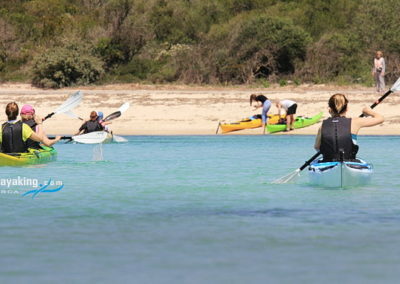 Rent a kayak from us and discover a part of the island from the sea. 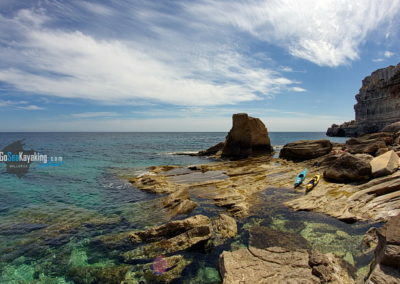 Crystal clear water, the wonderful rocky shore, beautiful colors. 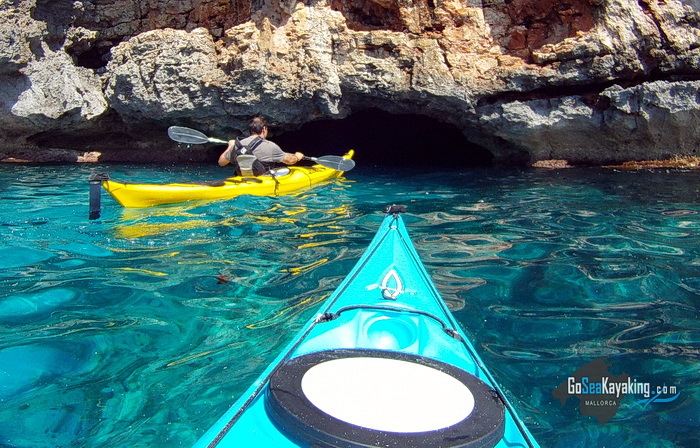 From time to time, we paddle from the bright sunshine into smaller, cool caves. 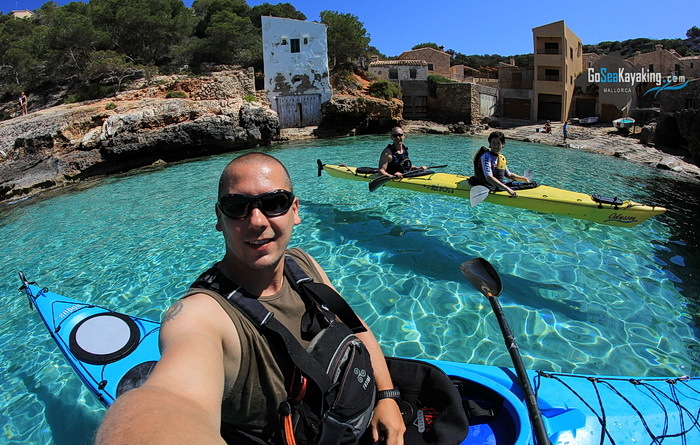 Impressing places where you can only go to with kayaks. 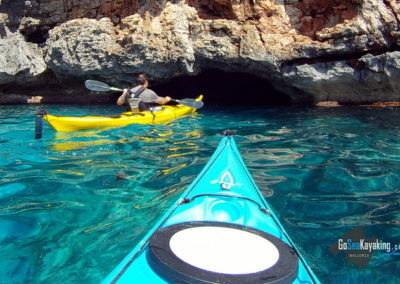 These 3 hours of kayaking will definitely be an unforgettable experience for you. 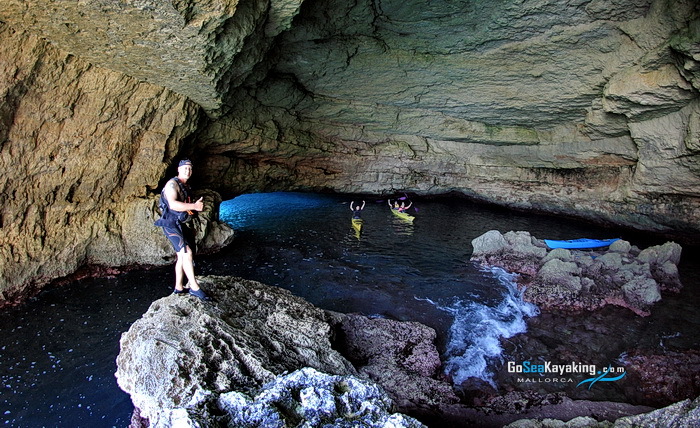 Come with us, you too! 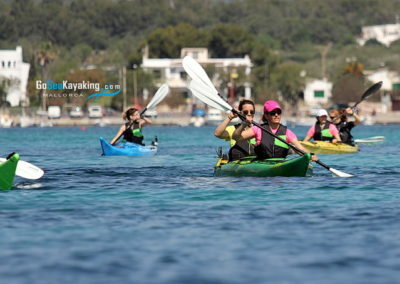 Why you should paddle with us? 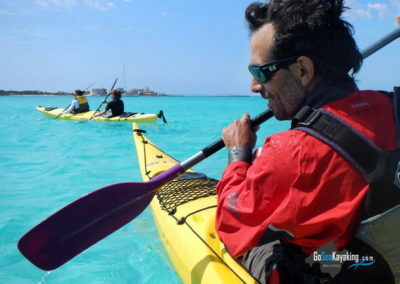 We take the kayaks for free. 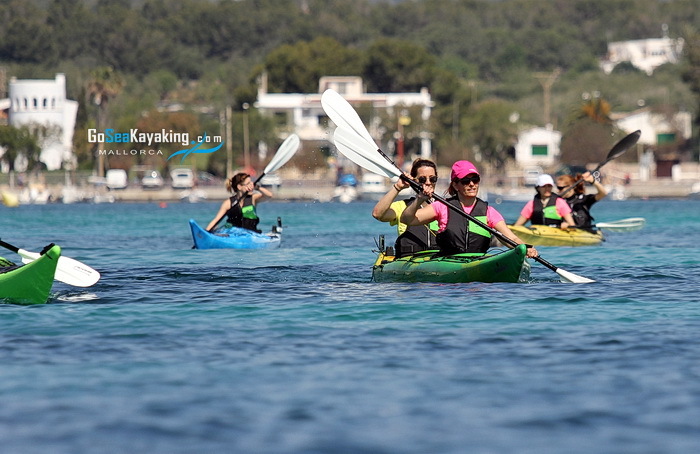 Starting from Portocolom, one of Europe’s oldest natural harbors, we take a look at the most beautiful parts of the harbor and then we paddle away from the harbor. 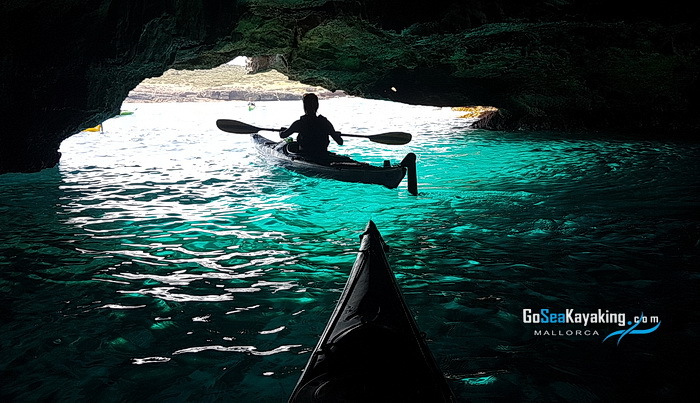 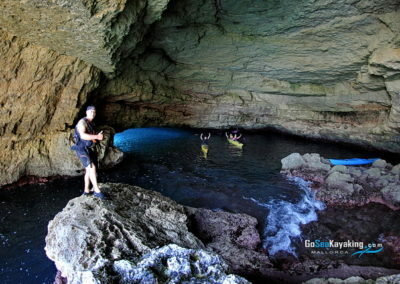 Depending on the weather and the waves, along the beautiful rocky shore, we paddle in some smaller caves. 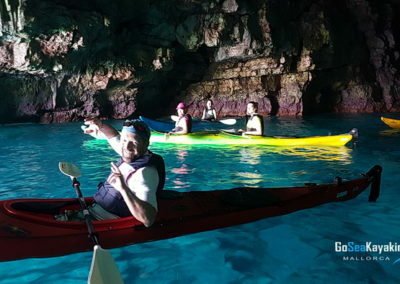 So you can get to know this part of the island from the sea. 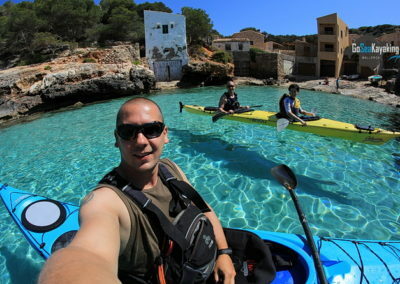 When it is possible to paddle? 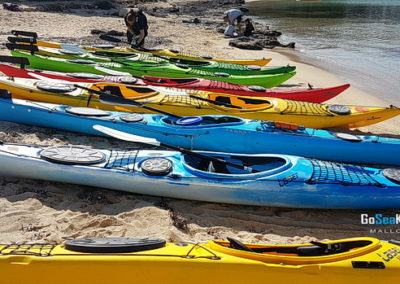 For any other time please contact us. 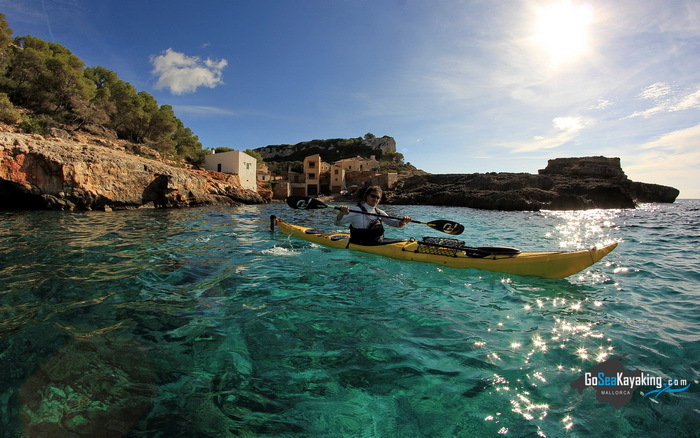 We depart from Santanyí beach, Cala Santanyi. 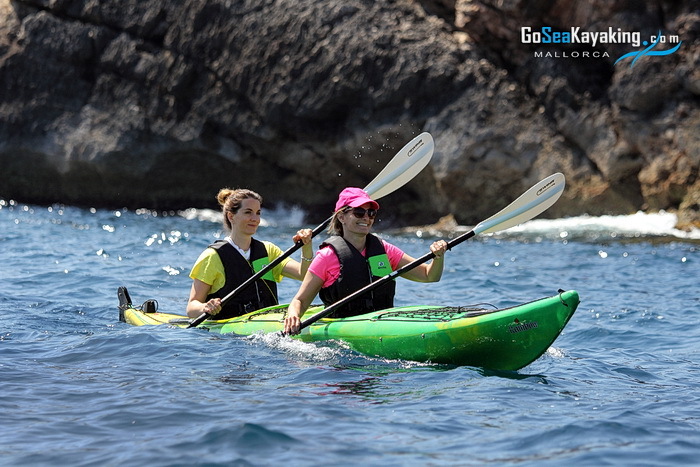 Nearby we will paddle through Es Pontas, then – depending on the weather, the waves and your physical condition, we will go to Cala s’Almunia. 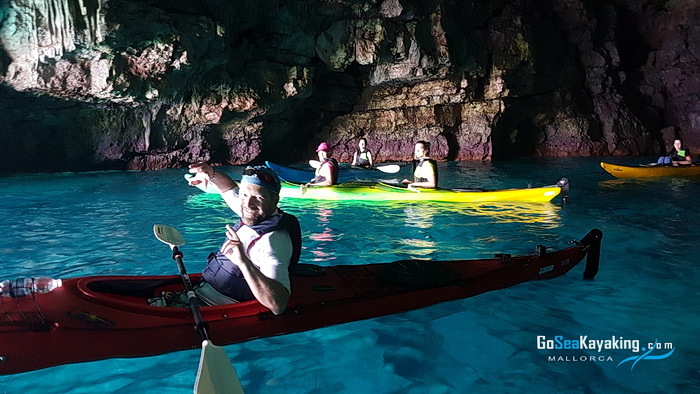 On our way, we will also paddle into a larger cave. 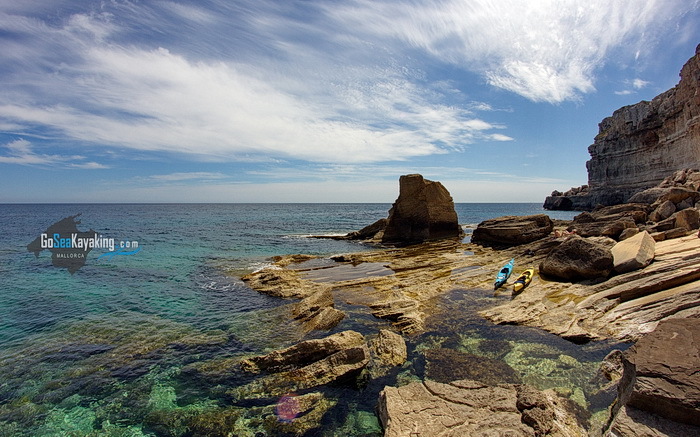 If you book a full day tour, you can relax, sunbath and swim on the beach Caló des Moro.